Would you like a quote for an identity project? Please email quote@memodesign.co.uk with details and we'll get back to you. 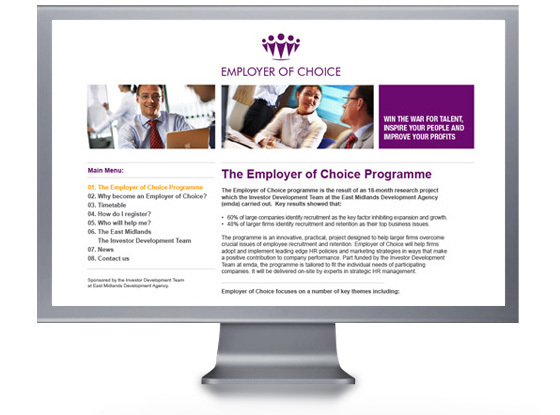 Employer of Choice offer a program to help with recruitment and staff retention. We designed the identity and various promotional materials. Work completed: logo design, mailer and leaflet design, website design.